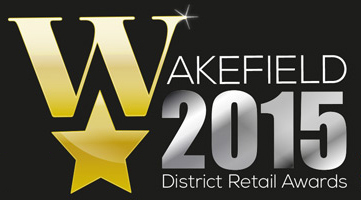 We're delighted to announce that we have been nominated for the Wakefield Retail Awards for a second year running! We've made the final shortlist for the Home & Garden category which is the award that we won last year. While we know that we're doing great things as a business we were shocked but delighted to win the award last year but can we make it 2 years in a row?! Seems like a tall order but we have our fingers crossed. The winners will be announced at the awards dinner on 16th May so we'll update you then! We don't think we would have got this far on either occasion if we hadn't have been able to include recent customer comments in our entry. You can see some of the examples we included here. So many thanks to everyone who has made the effort to provide that feedback. Fingers cross for the 16th May! 1 Response to "Nominated Again!" Meg - Andria, you are so much more than an artist! Your inipsra(shown) brings me to tears almost every time. I am sitting at my computer sobbing! Thank you for using your talent and your time to capture these stories and to impact so many of us who read and look at the beauty you capture. Amazing!